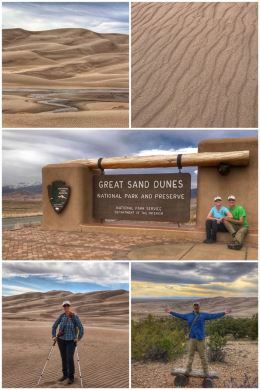 We hit Alamosa, Colorado, with a sole purpose: visiting the 34th national park on this nationwide adventure… Great Sand Dunes National Park and Preserve, located in the southern part of the state, tucked into the Sangre de Cristo Mountains in the San Luis Valley. The name is a bit confusing; the National Park Service manages both a national park and a national preserve at the same location… and both are surrounded by two national forests. 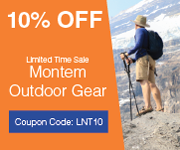 But while a national park is a protected area, a preserve can actually allow a plethora of activities, from hunting to mining… so it pays to be vigilant. There are currently 18 national preserves in the U.S. Originally designated the Great Sand Dunes National Monument in 1932 by President Herbert Hoover, protecting some 35,528 acres, it became a national park and preserve in 2004 — and now includes 107,342 acres in the park and an additional 41,686 acres in the preserve. The highlight of the park, of course, are the sand dunes — the tallest in the United States — but it is the diversity that struck us. The park includes multiple ecosystems, including: streams and wetlands (which flow around the dunefield); salt-encrusted plains (sabkha, which attract migrating birds); sand sheet and grassland (great for grazing animals); dunefield (which includes seven insect species found nowhere else in the world); montane forest (with aspens and pinyon pines); subalpine (with spruce); and alpine tundra (with rugged ice-covered peaks). The sand dunes were created by rocks that eroded from the San Juan Mountains (about 65 miles to the west) — and through freezing and thawing and tumbling by water and wind turned into sand crystals. (Some rougher grains and pebbles come from the Sangre de Cristo Mountains.) The dunes are surrounded by Sand Creek (to the west) and Medano Creek (on the east), which recycle sands and keep the dunes a fairly constant size. It is estimated that the dunes are less than 440,000 years old. 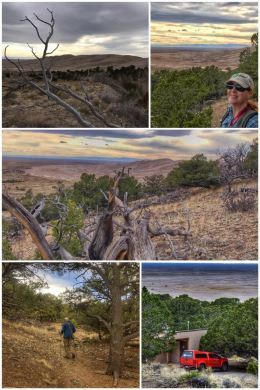 Our first day at the park — after we watched the informative movie at the visitor center — we decided to hike two dune-related trails, both accessible from the Pinon Flats Campground. We first accidentally hiked the Dunes Trail into the Great Sand Dunes Wilderness, down to Medano Creek. The trail starts off fairly easy, but once it hits the dunes and sand, the going gets a bit rough… but the close-up views of the dunes makes it worth it. We then hiked the Dunes Overlook Trail, which had been our original goal. 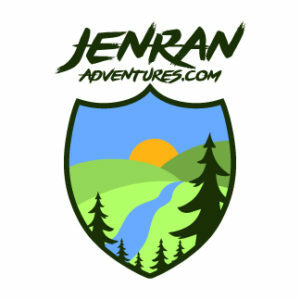 This two-mile trail (which can be extended with a much longer 11-mile trek up to the Sand Creek Camp) is a wonderful hike up the side of a mountain, offering several stunning views of the dunes below. We took a break the next day to get some work done while the bomb cyclone hit the area, bringing snow, hail, and graupel — and lots of wind. 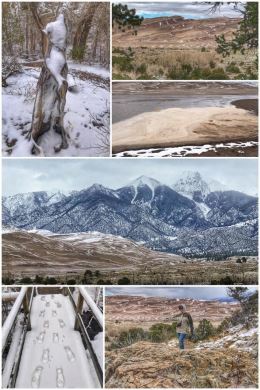 It was a perfect day to have some crockpot chili and hunker down… but the next day, as we headed back to the park, it also led to an amazing transformation… snow on the dunes! We hiked three short trails, starting with the High Dune on First Ridge Trail, located at the Dunes Parking area. We just hiked down to the creek and marveled at how different the dunes looked, covered in swirls of snow. We then hiked the Montville Nature Trail, a short (.5-mile loop) and fairly easy hike along Mosca Creek. No one had hiked the trail since it had snowed, and we loved seeing the animal prints (deer and turkey), while leaving our own. If you want, you can continue up to along the Mosca Pass Trail (a 7-mile RT). We ended the visit with the short Sand Sheet Loop Trail (.25 miles), which is accessed from the visitor center. 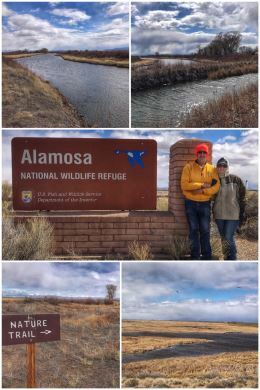 That concluded our visit to this beautiful and diverse national park, but not this stop, as we next traveled back toward town and stopped at one of our favorite types of places — the Alamosa National Wildlife Refuge, managed by the U.S. Fish & Wildlife Service (jointly, along with the nearby Baca and Monte Vista NWRs). Established in 1962 as a wetlands haven for migratory birds, this 11,169-acre park is also a year-round habitat for songbirds, water fowl, deer, and other wildlife. Twice a year (March and September), thousands of Sandhill Cranes use the refuge and San Luis Valley as a migration rest stop. We started our visit to the refuge on the 4-mile (2-mile out and back) Rio Grande Nature Trail, which follows along the Rio Grande River. It was exciting to see the river closer to its headwaters in Colorado after canoeing it down in the Big Bend (Texas) State Park a few months ago. After hiking, we drove the auto trail. We ended the visit to the refuge with a drive to the (Hansen) Bluff Overlook because we were told a herd of elk had been spotted there. While we missed the elk, the views from the bluff were wonderful. There is also a short walking trail south of the overlook. By the way, the town of Alamosa is a nice little town that is easily walk-able, which we did as our RV park (Cool Sunshine RV Park) was located just on the edge of the downtown, and a few blocks north of another Colorado Welcome Center, located in the historic Denver & Rio Grande Railroad Depot. Alamosa should definitely be a base for anyone traveling through Colorado. Besides the national park, national refuges, and national forests, there is also the San Luis Lakes State Wildlife Area and Blanca Wetlands. Next up, we head to the very southwest corner of Colorado — which we had actually traveled through when we visited the Four Corners last year while in southeast Utah.